Whale Washes Up on Shore and Gets Vandalized With Spray Paint. When does vandalism cross the line. Is it when there is graffiti on your street by your house, the overpasses you drive by everyday, or maybe on your actual property. Well there seems to be a new target for graffiti artists, marine life. 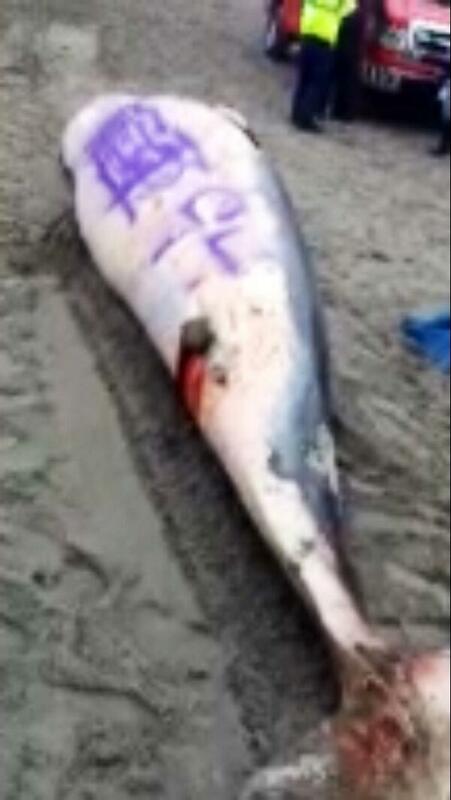 Yeah that’s right someone decided to spray paint all over an innocent dead whale. The whale was discovered Thursday morning around Atlantic City’s Central Pier. 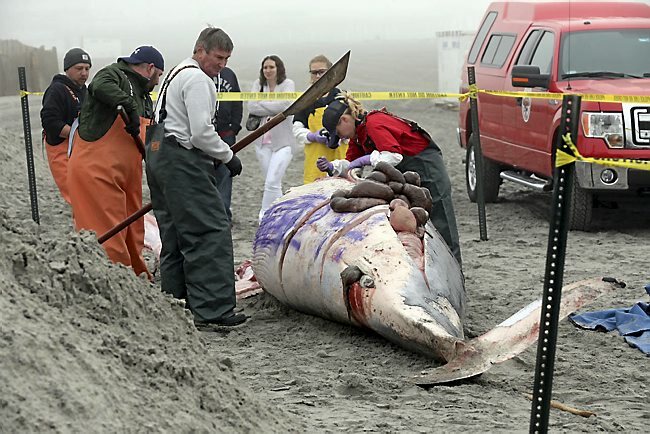 The whale had washed ashore and had been dead for several days according to Bob Schoelkopf of the Marine Mammal Stranding Center. He still will try and determine the cause of death. Just doesn’t seem like the most logical thing to do. Not that it is probably even against the law, it’s just like a respect thing you know.